Ghana’s acclaimed Pan-African feminist, poet, playwright and novelist, Prof. Ama Ata Aidoo, was recently celebrated at the AfricAvenir and Spoken Word event in Namibia. 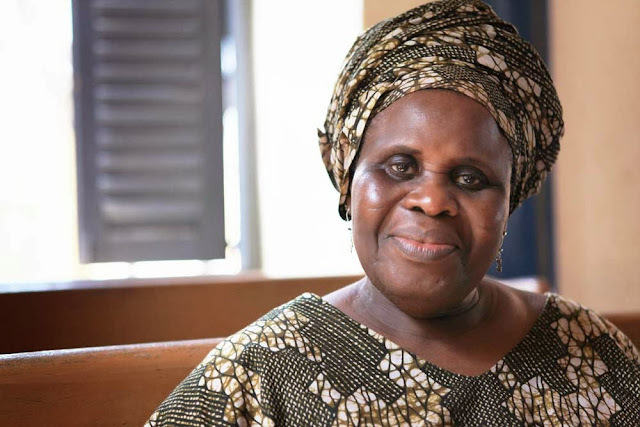 According to organizers, celebrating a woman’s contribution to Africa’s renaissance through screening of the 78-minute Ghanaian documentary entitled, ‘The Art of Ama Ata Aidoo,’ would go a long way to inspire others to be equally courageous. The event, which took place at the Goethe Institut in Namibia, was supported by the Finnish Embassy with the Ghana High Commission providing moral and patriotic support. The film, which was directed by Yaba Badoe, explores the artistic contribution of one of Africa’s foremost women writers, a trailblazer for an entire generation of exciting new talent and charts Ama Ata Aidoo’s creative journey in a life that spans seven decades from colonial Ghana through the tumultuous era of independence to a more sober present day Africa where nurturing women’s creative talents remains as hard as ever. The film portrays Madam Aidoo returning home to her ancestral village in the Central Region of Ghana, launches her latest collection of short stories in Accra, and travels to the University of California, Santa Barbara, to attend the premiering of her seminal play about the slave trade – Anowa. With contributions from Carole Boyce Davies, Nana Wilson-Tagoe and Vincent Odamtten, ‘The Art of Ama Ata Aidoo’ gives a fascinating insight into the life of a feminist, poet and novelist and brings her writing to new audiences. “I was absolutely thrilled to learn from Yaba Badoe that her documentary on me and my work is getting premiered in Namibia. Hearing about this event took me back to my brief visit to Windhoek, and how absolutely wonderful that was…Over the years, there have been one or two occasions when I’d come close to returning to Namibia to lie low and write. “Although those chances did not work out, I haven’t given up on that particular project yet. This evening though, I hope you enjoy ‘The Art of Ama Ata Aidoo’, the film…I would like to take this opportunity to congratulate and thank you for all the great work you’ve been doing on, and for African films,” Prof Aidoo said in a short message to the audience.